The first temple dedicated to the Virgen de la Soledad in Oaxaca City was built in the early years after the Conquest of Mexico. 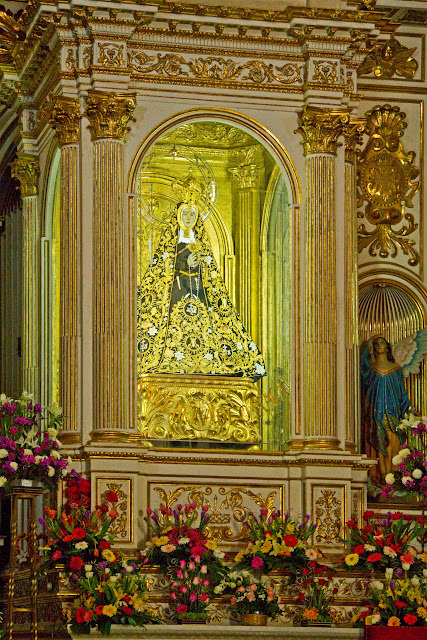 When in 1532 King Charles I of Spain granted the city title to the Antequera de Oaxaca, There rose in the vicinity of Fort Hill a small shrine dedicated to St. Sebastian. The temple included a small chapel dedicated to the Virgin of La Soledad. 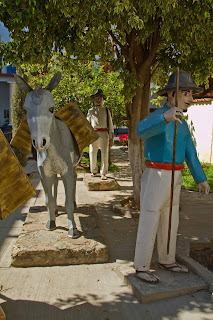 The event that gave rise to the present shrine dates back to 1617 when, according to tradition, a muleteer from Veracruz bound for Guatemala noticed - upon arrive at Oaxaca - in his herd had one more mule. 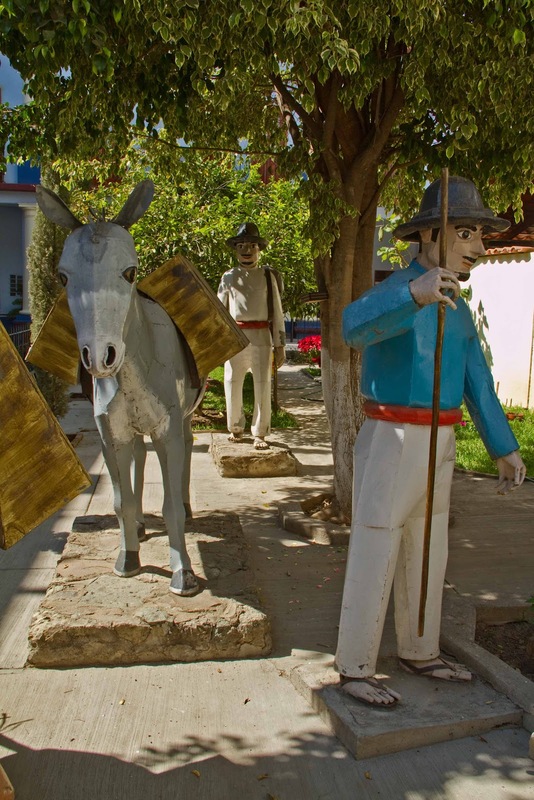 Passing by the hermitage of San Sebastián, the mule fell down overcome by the load he was carrying. The attempt of the carrier to lift it was useless and told the authorities to avoid punishment. When removing the burden of the mule, it died instantly. 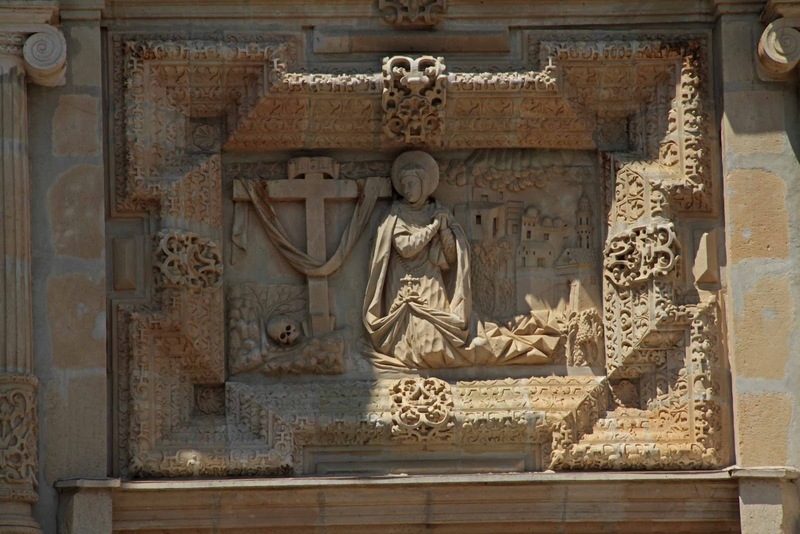 The cargo was checked and they found the image of the Virgin, accompanied by a Christ and a sign saying The Virgin at the foot of the Cross. 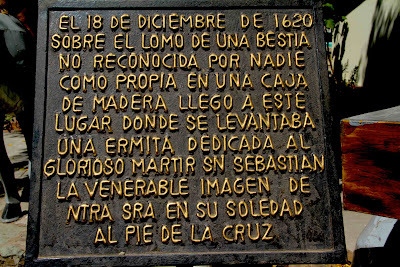 Faced with this event, the bishop ordered Bohórquez Bartholomew to build a shrine in honor of the deity on the site. 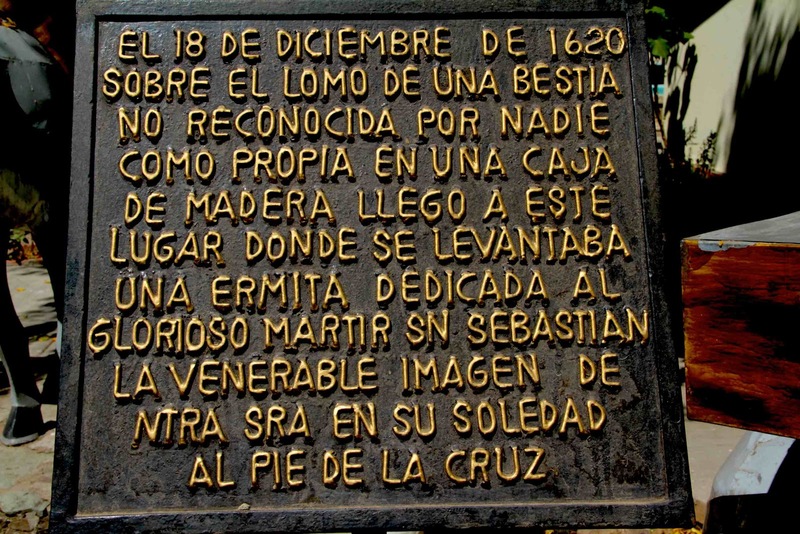 The feast day for La Soledad is December 18th but the festivities last more than a week. 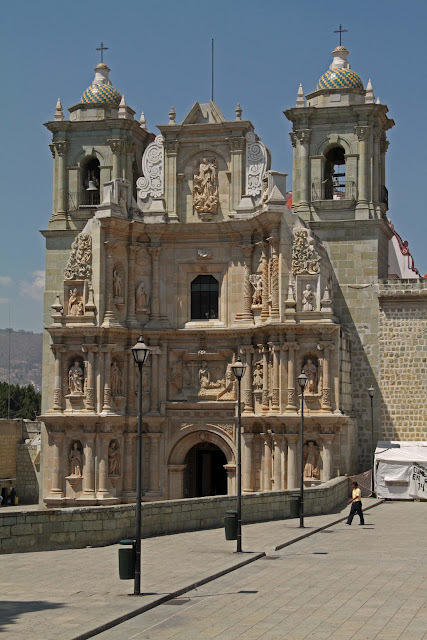 The current Basilica of Our Lady of Solitude was built between 1682 and 1690, and is a shrine to the Virgin de la Soledad, the patron saint of the city of Oaxaca. 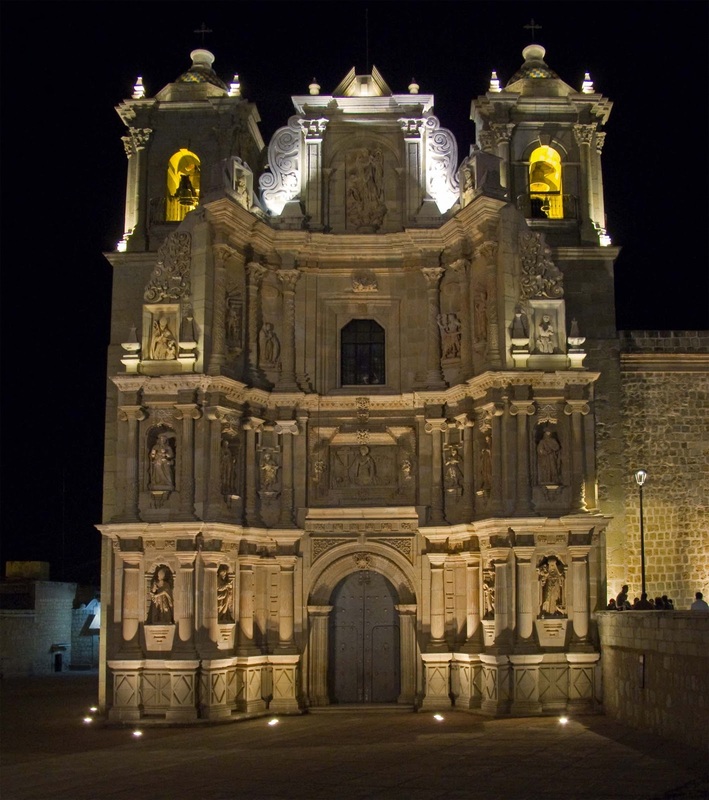 The present facade was built between 1717 and 1718. The temple is one of the most outstanding examples of religious architecture from the colonial era of Oaxaca, especially the main entrance, which is of the seventeenth century Baroque style. 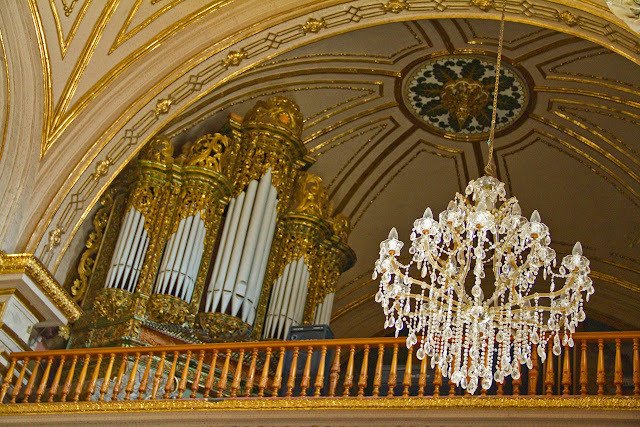 The cover is unique and characterized by the form of a screen that makes it look like a huge buttress. 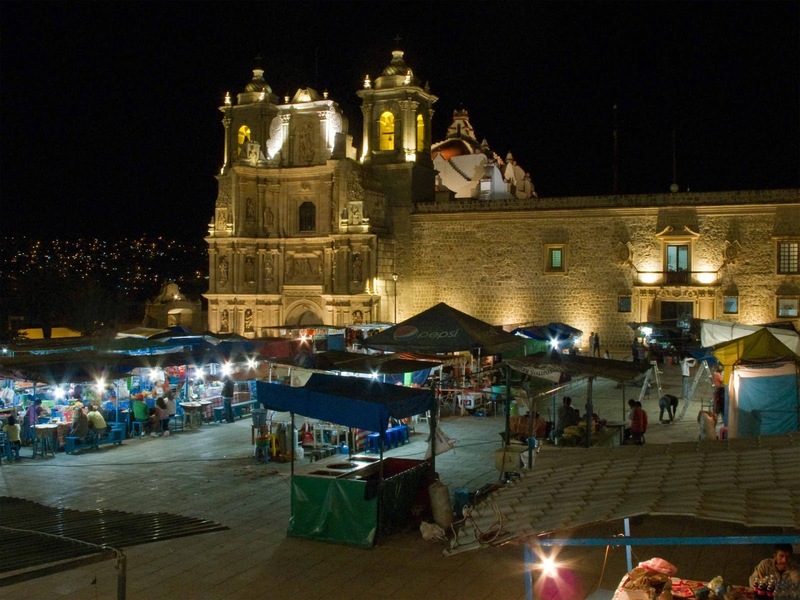 The Basilica de la Soledad has a Latin cross plan and has a seismic design, because by the time construction began, several buildings had been ruined in Oaxaca during earthquakes suffered by the city. Two barrel-vaults cover the building. At their junction is a dome octagonal, whose outer surface is covered with tiles. The essential material of the building is the green stone, a stone very common in parts of Oaxaca. In contrast, the magnificent artwork was done in yellow quarry, and is slightly out of the temple toward the atrium compared with steeples. This screen design consists of four levels and pediment. 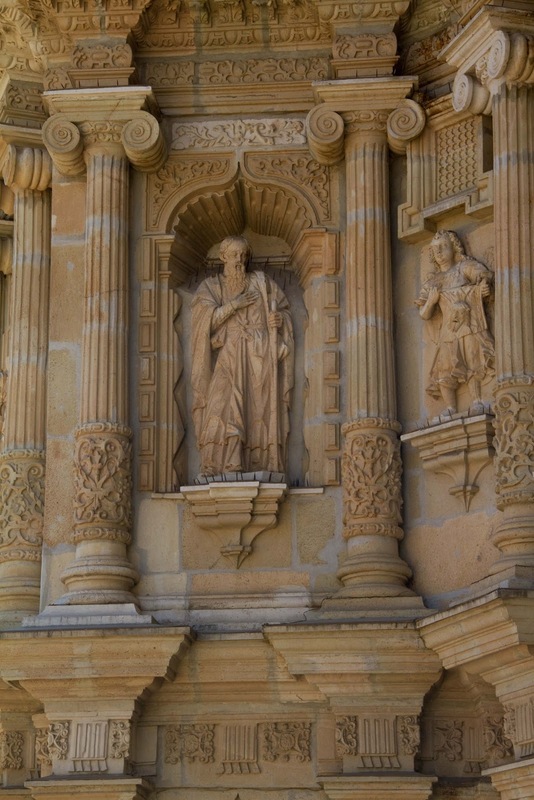 In the center of the first part of the facade is the entry flanked by two fluted columns and Doric capitals and in four arched niches are represented St. Peter, St. Paul, St. Augustine and Santa Rosa de Lima. In the second section of the front of the building, above the main entrance, there is a relief depicting the Virgin Mary, kneeling and weeping at the foot of the Santa Cruz, a human skull and small branches of shrubs, representing life after death with two little angels at the sides, the first of them reminiscent of Veronica, the mantle with Christ on the roster, another seems to allude to the Archangel Michael. 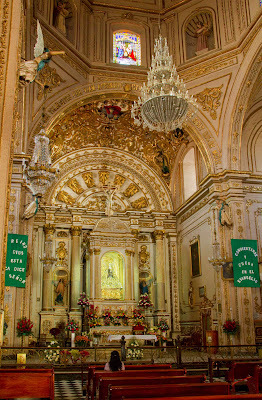 In four arched niches and pedestals are Santa Ana, San Joaquin, San Juan Evangelista and Santa Lucia. The third level has the door of the choir and on the sides, the Annunciation of the Virgin Mary, with the archangel Gabriel on one side and the Virgin kneeling on the other. There are also two niches with shell elements containing sculptures of San Sebastian and Santa Isabel and on the sides, two small reliefs representing St. Nicholas Tolentino and St. Nicholas Bari. In the last level there is a relief alluding to the Assumption of the Virgin. 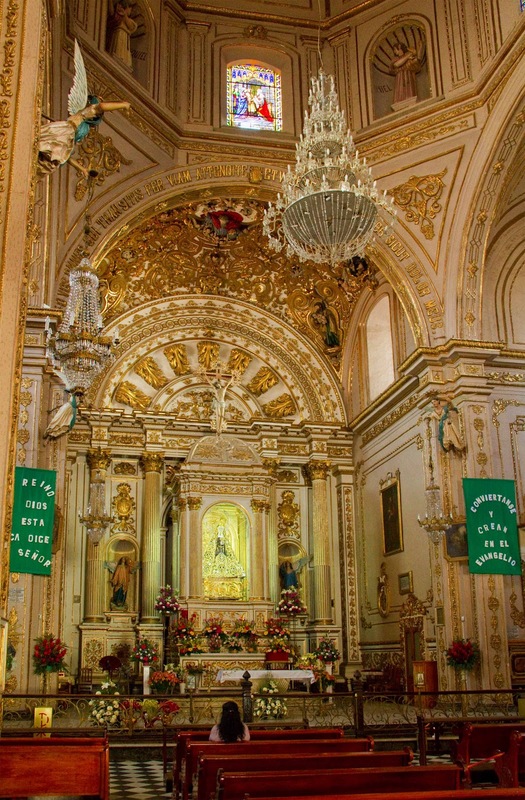 The interior of the temple has an image of the Virgin of the Soledad, which is recognized as the spiritual patron of the people of Oaxaca and for whom is paid devotion similar to which nationally is given to the Virgin of Guadalupe. Inside also are samples of the European Baroque painting at the time, the ecstasy of St. Augustine, Maria Magdalena, Santa Teresa, Santa Catalina Martyr, St. Jerome and St. Ursula. The courtyard has two doorways, one south and one east, which connects to the garden Socrates. To be continued…. Although it's necessary to cut down the resolution of pictures to conserve web album space the pictures on my web album have more resolution than these when you use the magnify glass ikon.